Recently, I was forced to be without my precious gaming PC for a couple days. It was a devastating experience that left me cold and empty inside, forced to only play games on my laptop, which was not ideal. It became much worse when I decided to launch Diablo 3 5 Reasons To Buy Diablo 3: Reaper Of Souls 5 Reasons To Buy Diablo 3: Reaper Of Souls The first expansion to Diablo 3 is now available and has enjoyed a smooth launch. Here’s five reasons while Diablo 3: Reaper of Souls retakes the Action-RPG throne for Blizzard. 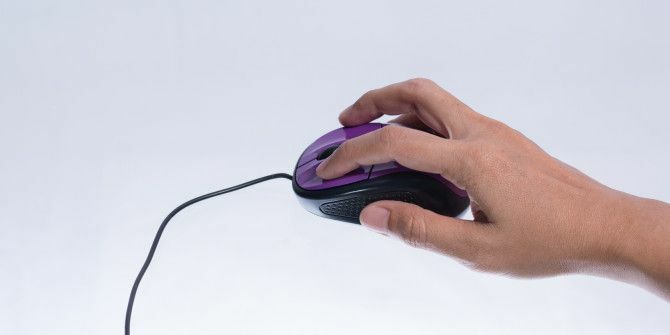 Read More and found my mouse was stuttering and lagging all over the screen The Computer Mouse Guide: 8 Things to Know When Buying a Mouse The Computer Mouse Guide: 8 Things to Know When Buying a Mouse Planning on buying a new mouse? Here's everything you need to know before making your purchase to get the best mouse for your needs. Read More . If you’ve ever experienced this, then you know it makes gaming nearly impossible. But I managed to find out the source of the problem and how to fix it. Essentially, the issue comes from the way Windows scales its interface on higher resolution displays. My laptop has a 4K screen, but I have it scaled so I can actually read text. All it took to get the mouse to stop lagging was turning off scaling. To do it, you’ll need to right-click on your desktop, then click Display Settings. Move the slider down to 0%, then restart your computer. When you launch your game, the mouse should move smoothly. When you’re done playing, just repeat the steps above, but move it back to the scaling that makes your comfortable. Did this work for you? Let us know below! can someone please please help me? If you have a few specific applications that support high DPI settings but don’t indicate it, you can configure that detail manually. To do so, right-click the shortcut that starts the application (in the Start menu) and choose Properties. On the Compatibility tab, enable the option named Disable Display Scaling on High DPI Settings."